Another guy that Ron has ripped off joined in on the Facebook thread where Ron agreed to repay the money he had taken from me. Other Guy: Curios if you ever got your money. He has been telling me the same thing for 6 months. Would lie right to your face. Me: No. 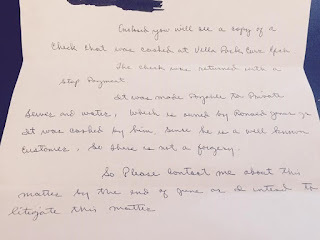 He asked me to send him an ePayment request, which I did. He acknowledged receiving it and said he would get on it. He has not, nor has he responded to a text in the almost two weeks since then. I don't know why I thought he would do the right thing for a change. 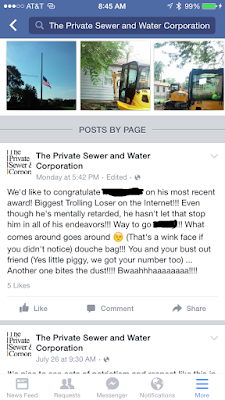 The Private Sewer and Water Corporation: You two should go on a date together!!! Lol! Seriously though, yes Mike I did get the request and I'll do it Monday when I'm back in town. I don't know if the request expires so maybe send me a new one over the weekend. Thanks. Notice how there is no explanation from Ron on why he didn't take care of it a week ago when he first got the payment request. Also, I'm pretty sure he could take care of it where ever he is. The nice thing about ePayments is you can take care of them from any smartphone. There's a whole lot of no responses from Ron there isn't there? Still no refund from the Private Sewer and Water Corporation. I texted Ron Janis yet again and again he did not respond. 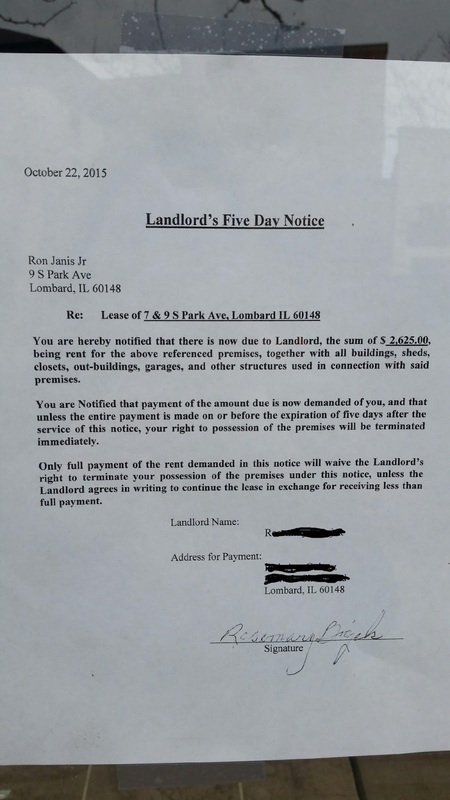 Private Sewer and Water Still hasn't Issued the Refund They Agreed to. Its been five days since I sent Ron The ePayment request. He has not acted on it yet, so I text him again. Me: Did you get my payment request? Ron: I did. I'll get on it. This is the kind of service you can expect from the Private Sewer and Water Corporation. Ron will not make any effort to solve a problem unless you constantly stay on him. Even then there's a good chance he won't do anything. I'm not even sure how I found this since Ron took down the reviews on his site a while ago but I accidentally stumbled upon another negative review. The story is remarkably familiar. New Reviewer: Almost nine months since this firm was paid for a job at my home . . . and guess what? They just didn't bother to finish it. Dozens of blown-off appointments, unreturned phone calls, no offer to make it right (let alone pay us back); vanished into thin air. Nope, can't say I recommend them. Its the same thing over and over again. Someone pays Ron Janis and the Private Sewer and Water Corp in full for a job. Suddenly they stop showing up for that job never to be seen again. I received a letter from the Illinois Attorney General's office today. 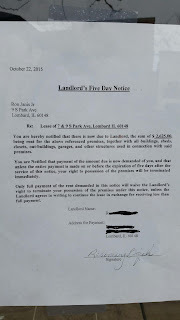 I had submitted a complaint about the Private Sewer and Water Corp's shady business practices back in November I think. The letter was to inform me that the Private Sewer and Water Corp had not responded to the complaint. The attorney general would try again and the Private Sewer and Water Corp had 10 days to reply. I'm not surprised that they didn't respond. I mean, what is Ron going to say? "Yeah, I stole that guy's money, sorry"? Ron Janis is a crook and he knows it and there is nothing for him to gain by attempting to work something out. He already has my money so he has no incentive to actually do anything that he was paid to do. I don't know what it will take for the attorney general to look into pursuing criminal action. I'm sure I'm not the first to complain about the Private Sewer and Water Corporation's fraudulent activities and I doubt I'll be the last. How many people have to be scammed before justice is served? As far as I'm concerned Ron Janis belongs in jail. This one is especially egregious He starts with the customary take money for a job and then don't show up to finish the job bit. Then the customer actually gets Ron to show up to finish the job. Normally you would think this is a good thing. But Ron somehow manages to convince him that he needs even more money to finish the job. The poor guy is so desperate to put this behind him that he agrees. Later he finds out that Ron has paid for the concrete that he used with an NSF check and the concrete company threatened a lien on the customers house if he didn't make up the difference. Liza Madigan is the Illinois Attorney General for those of you not from Illinois. Now on the one hand I'm not sure this story is accurate. The review mentions that Ron had a secretary which I doubt. He would have to pay her and we all know Ron isn't good at that. Also I would think that she would have answered the phone at least once out of the hundreds of times I called. But maybe she is new or Ron shares space with a company that has a secretary. Also, I don't think the concrete company would come after the customer rather than the Private Sewer and Water Corp, unless they were either in on the scam, or they knew that Ron was a deadbeat and they would never get their money back from him. That being said, the rest of the story sounds like it is right out of the Ron Janis playbook so I'm inclined to believe that it is mostly true. I'll be checking the BBB site for this guy's complaint. It might be hard to find among the rest of the complaints, but I'm sure I can figure it out.